The Human Rights Act 1998 will come into force in the year 2000. This volume explores the significance of this event. Luke Clements is a Senior Research Fellow at Cardiff Law School. 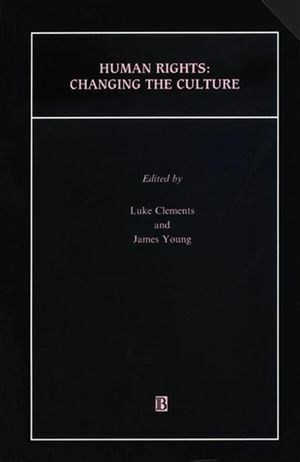 Human Rights: Changing the Culture (Luke Clements and James Young). Human Rights: A Culture of Controversy (Tom Campbell). The Politics of the Human Rights Act (James Young). The European Convention as an Invigorator of Domestic Law in the Netherlands (Bert Swart). Theory Meets Practice: Some Current Human Rights Challenges in Canada (John Hucker). The Human Rights Act - a New Equity or a New Opiate: Reinventing Justice or Repacking State Control (Luke Clements). The Human Rights Act and Legal Culture: The Judiciary and the Legal Profession (Murray Hunt).